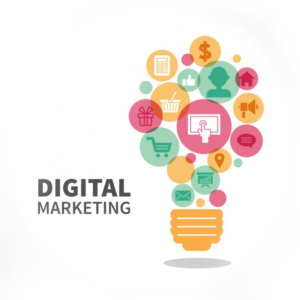 Digital Marketing is a more cost effective method than the old traditional way of marketing. This kind of marketing levels the online playing field and delivers conversions to help generate better revenues. With online marketing you get a fair chance to interact with your targeted audience and build a better and wider brand recognition and reputation. It entices people to take favorable action and contributes in winning their trust. It ensures your survival online and makes you completely ready for the internet things. Worried about your investments? Digital marketing offers you a better ROI for all your marketing investments. With digital marketing, you cater to all kinds of users, right from the basic website visitors to mobile users. Mobiles are the most commonly used devices in today’s world. Being present on mobile helps you get direct clients, build customer loyalty by being visible to the customer at all times. With device targeting, you can create a direct channel for marketing, build a brand and a good reputation by providing value to your customers and improving customer engagement. Digital Marketing and the Need for it! Digital Marketing Levels the Online Playing Field. It Is More Cost-Effective than Traditional Marketing. It also helps Delivers Conversion. To Generate Better Revenues digital is the best way. You can facilitate Interaction with targeted Audiences. From ROI to Branding Digital Media Helps your business survive online. Through Online Marketing you can cater to the specific type of audience like location, device, etc. Digital Marketing Entices People to Take Favorable Action. We at All Angles MediaWorks assure our clients the best quality of the product as well as service by introducing gigs of technology. You are assured of the right marketing tactics that take you take you higher in the competition and help you reach out to a larger targeted audience. We understand your needs and your audience expectations. This helps us deliver the most expected and efficient result with our expert marketers on board. Digital marketing is truly a dynamic marketing media that can be used by any businesses. It’s hard to ignore the benefits which your business can get from launching an online marketing campaign. Whether you have a limited or big marketing budget you can still use this promising vehicle to effectively promote your site in the most promising and cost-effective media.